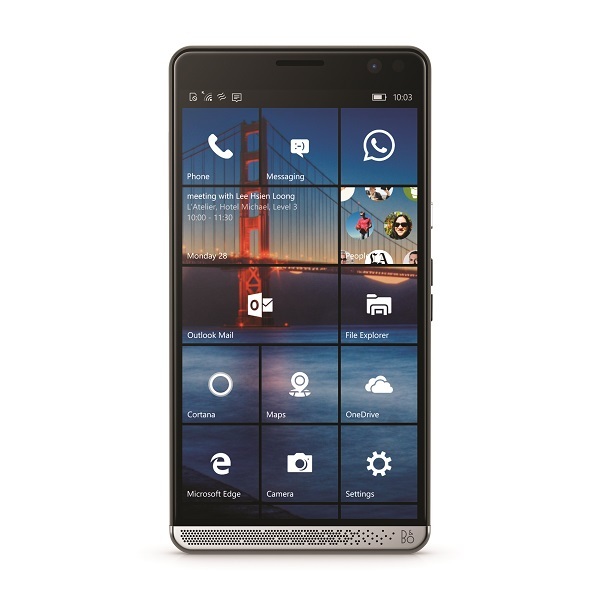 MWC 2016: HP Elite x3 announced with Windows 10 Mobile. At Mobile World Congress today, HP announced Elite x3. The HP Elite x3 with Windows 10 mobile bridges phablet, laptop and desktop use cases from a single computing device while enabling users to run key productivity apps across these different experiences seamlessly. The Elite x3 is the first built-for-business mobile device to deliver seamless phablet, laptop and desktop business productivity in a single device. By utilizing Continuum in Windows 10, the Elite x3 enables frictionless multi-screen transitions between a phone scenario and a desktop PC scenario. Users can dock the Elite x3 with its ecosystem of accessories to render desktop and laptop productivity experiences while also retaining productivity on-the-go in a world-class premium and commercial-grade phablet. With this capability, users can effortlessly switch between using the Elite x3 as a desktop, laptop or mobile device, no longer needing to worry about what device to use in what environment. The Elite x3 also utilizes biometrics to unlock the device -- adding an extra layer of protection for enterprise customers. The Elite x3 offers a unique computing experience by leveraging the power of the Snapdragon 820 processor, Windows 10 Mobile with Windows Continuum, the optional HP Desk Dock and the optional Mobile Extender, allowing the device to let people work on their own terms no matter where the locale. Users can also enjoy easier, faster charging with Qualcomm Quick Charge 3.0 technology. The Desk Dock offers a full featured desktop experience for the Elite x3. It includes a DisplayPort for external monitor support, two USB-A and a USB-C connection for business continuity, and wired Ethernet to seamlessly scale users' productivity at their desk. The Elite x3 docks in portrait mode at a comfortable viewing angle when sitting at a desk. The dock also supports the Elite x3 with and without a protective case. The HP Mobile Extender creates a laptop experience using a near zero bezel 12.5-inch diagonal HD display that's around 1 kg. No data is stored on the Mobile Extender for additional security and all of the apps, passwords and files are managed and stored from the Elite x3. The Elite x3 also allows users to work with the apps they love and rely on. HP Workspace -- an app catalog designed by HP to easily enable access to virtualized apps -- drives a seamless app usage experience. HP Workspace on the Elite x3 creates a virtual PC, giving users access to company curated catalogs of x86 apps via a virtualized solution. Users benefit from quick access to their virtualized apps with a full keyboard and mouse experience not typically available from a mobile device when using the Desk Dock and Mobile Extender. The HP Elite x3 is expected to be available this summer; exact pricing of the device and its ecosystem of accessories and subscriptions will be shared closer to date of availability.